I had a wonderful opportunity to work for The Song Room as an Artist in Residence at St Pius X Primary School in Heidelberg West. 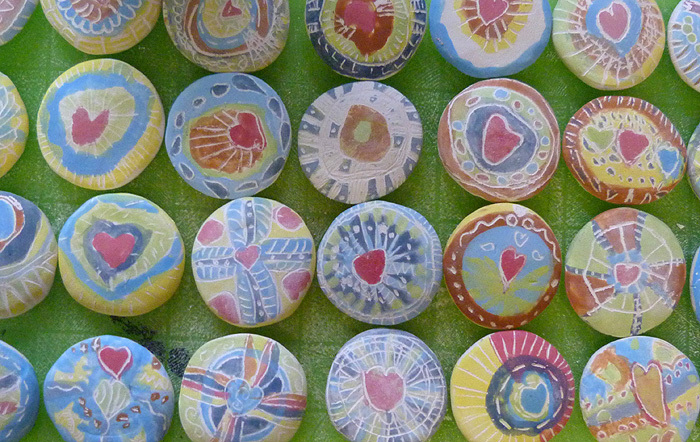 This specific project was to engage parents of the school community in an art project. 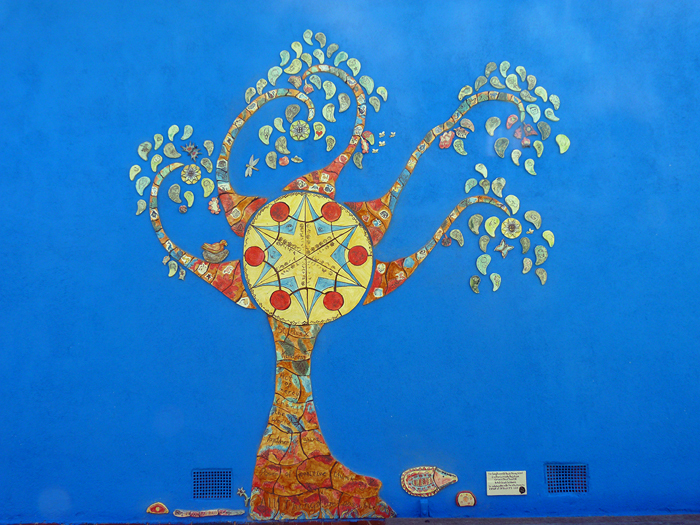 I worked with a group of parents over a number of weeks creating a large Tree of Life ceramic mural and all the children of the school created the leaves for the tree. 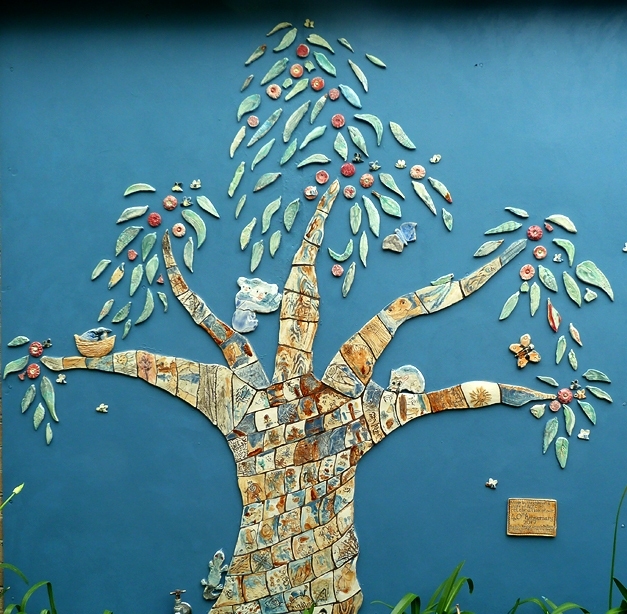 Over a number of visits we created a fantastic ceramic tree based on a river red gum with children parents and staff to celebrate the 40th Anniversary of the center. I have a Solo Exhibition currently on at Gasworks Arts Park titled ‘Reclamation’ on until September 18th and open between the hours of 9.30 am to 4.30 pm. This body of work explores themes concerning environments and living landscapes through photography, ceramics and mixed media. 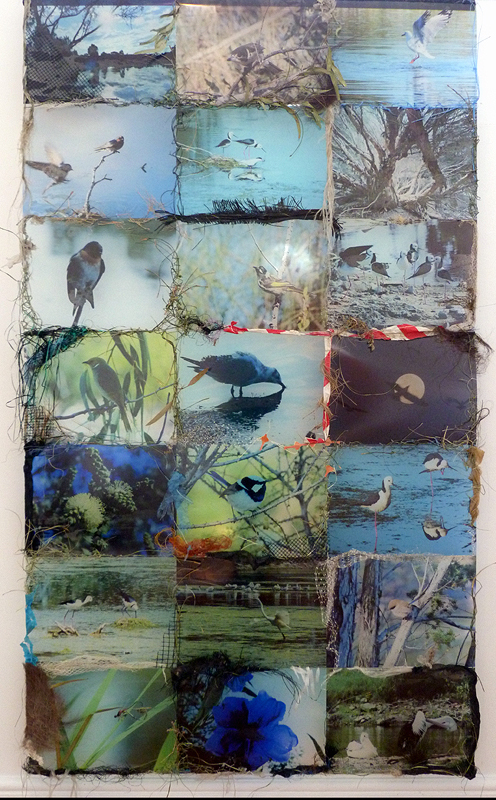 The major art work for this show is composed of sixty three images taken at the Westgate Park and weaves together stories of the bird life, plants and insects and the impact of the human species on the environment and the planet. Through the weaving of native grasses into my images I acknowledges the Indigenous people as the custodians and care takers of this land, having lived here in harmony with the environment for many thousands of years. In contrast, the impact European settlement has had over a few hundred years is woven through the images by the plastic rubbish she collects, while wandering through environments capturing her images of the incredible variety of amazing life we co inhabit this planet with. Through this exhibition I hope to bring awareness to the fact that with the care and commitment of dedicated community, like I discovered at the Westgate Park, environments can be reclaimed, restored and regenerated, creating a more harmonious co existence with nature. As Artist in Residence along with students we created a number of art works for the new outdoor garden area. 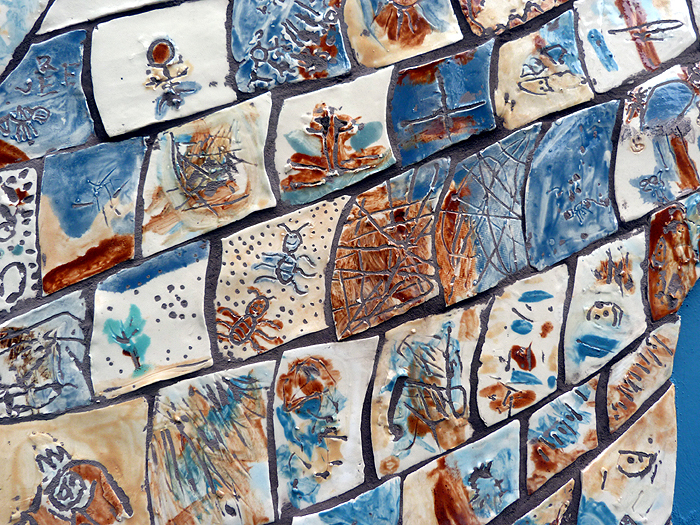 This included sculptures, tiles for a outdoor seat and clay discs to screen off an area.